This is a tutorial on how to setup Cocos2d-x for Windows and Android development on Windows. Installed JDK (Java SE 6 Update 26) – I recommend downloading the x86 version. Please note that Java SE 7 won’t work. All projects should now be available in the package explorer. However, HelloLua and HelloWorld might show some red crosses. You will need to modify a few .java files. 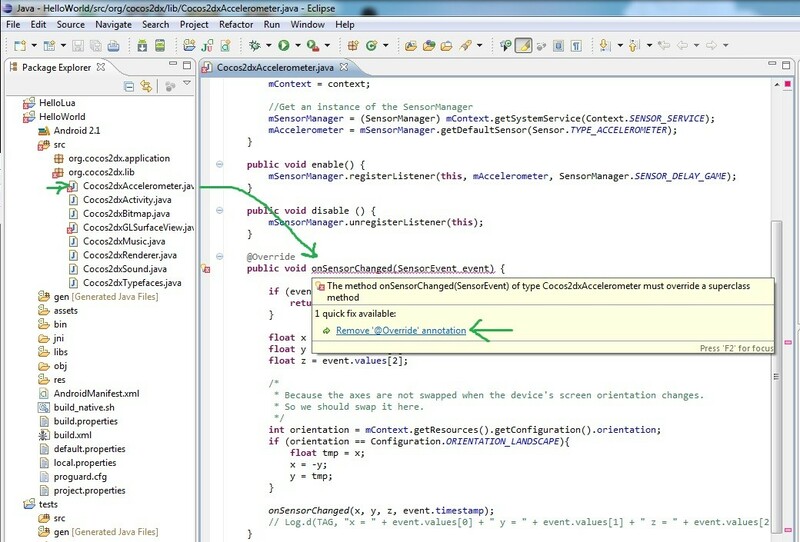 All you need to do is remove all lines with @Override. 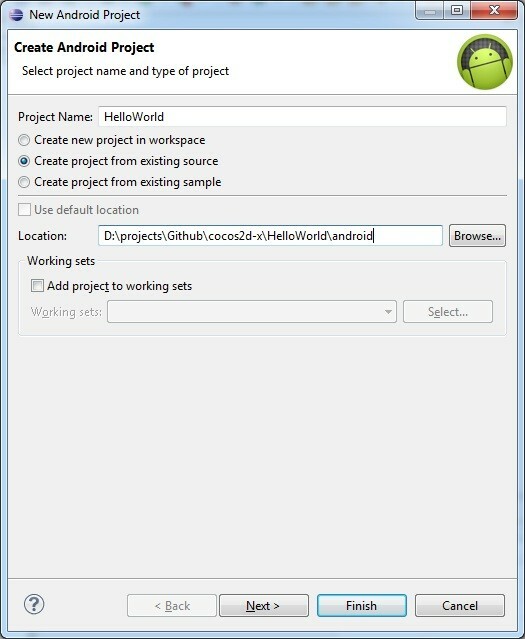 Click on the project name in the package explorer (for example HelloWorld or tests). 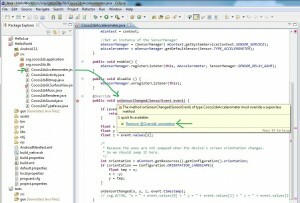 If your device is connected to your computer, eclipse will build the APK and install it on your phone/tablet. If no device is found, it will launch the emulator. Im getting an error when I try to compile HelloLua.sh, HelloWorld.sh & test.android. mysys gives me an error on line 1 and line 2 with unexpected end of file. Followed the steps a few times to verify and everything look right. working in Windows 7. Hi. 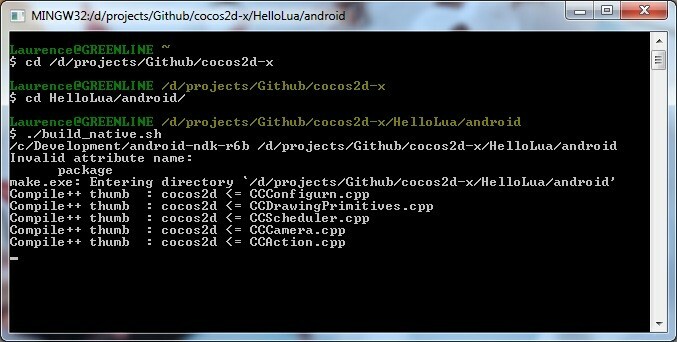 I’ve wrote How to solve problems with build_native.sh and android-ndk-r7 on cocos2d-x. Thanks for posting the solution Marcio! Help..How do I ‘Set the NDK root and COCOS2DX root path’? I set in Enviroment variables, but I think it is not correct..
Because it returns error when calling the build_native.sh using msys..
Hi Andres, you don’t need to set those two values as Environment variables. 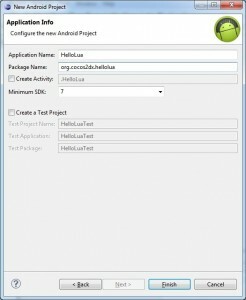 You only need to modified the buildscripts (build_native.sh) and change the path in those files. 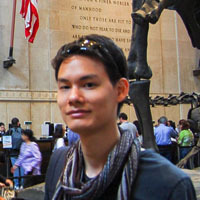 Hi Laurence, I cannot even open build_native.sh, do I need to install something?thanks. Try using NDK_ROOT_LOCAL instead of ANDROID_NDK_ROOT when defining the NDK path. How should I explicitly add the -fexceptions flag? And if there some way to build native Win32 exe through mingw, rather than building to run on android emulator? I ran into a similar issue with a recent checkout, so I am guessing that something in the source code changed that triggered this error. I think I saw some updates related to LUA not too long ago, so it might’ve already been fixed. (If not, try reporting it on the Cocos-x forums). About the win32 native exe, I would recommend using Visual Studio (or Visual Studio Express which is free). If you want to use MinGW, you could try to use the Makefiles provided for the Linux build. I am just not sure if MinGW has the essential OpenGL ES header and library files required to compile and link the source. 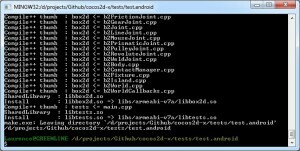 Hi , I have tried the procedure that were mentioned above to install cocos2s-x for Android(Windows), but the sample project(HelloWorld and other) were unable to run. 1. After changing the path of “build_native.sh” NDK_ROOT_LOCAL=/cygdrive/e/android/android-ndk-r8 to “NDK_ROOT_LOCAL=/D/MY_WORKSPACE/android-ndk-r6b” & COCOS2DX_ROOT_LOCAL=/cygdrive/f/Project/dumganhar/cocos2d-x to “COCOS2DX_ROOT_LOCAL=/D/MY_WORKSPACE/cocos2d-x” , I get errror in “MINGW32” console, it can be seen from “http://www.mediafire.com/imageview.php?quickkey=padulalccn4quni”. 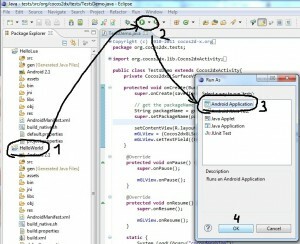 The tutorial explains everything you need to know to compile the examples. 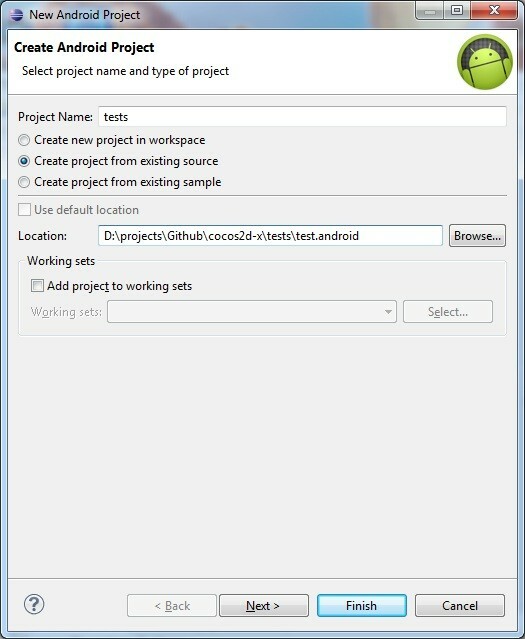 It covers setting up your build environment and how to compile projects in Eclipse. If you write your own apps, you usually just copy one of the examples and start modifying. Just one thing, i am able to compile the programs but any changes that i make in the source code don’t get reflected in the simulator ..? can you help me with this? 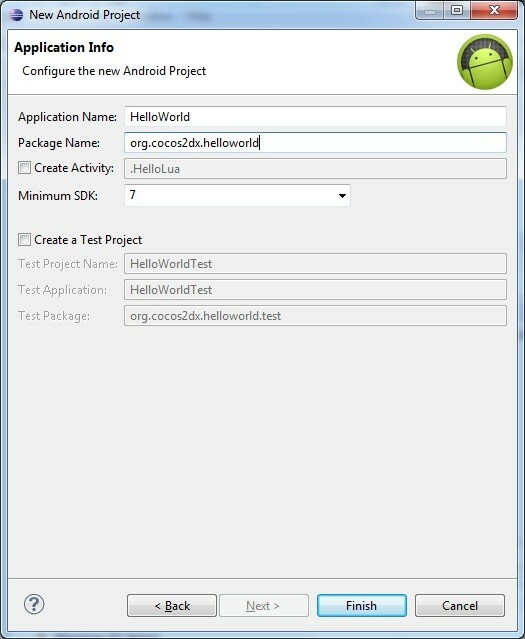 for example instead of “Hello World” i wrote ” FIrst Hello ” but the simulator would always show “Hello Word” ..
Great Man , I finally got my cocos2d-x tests working on my android device . 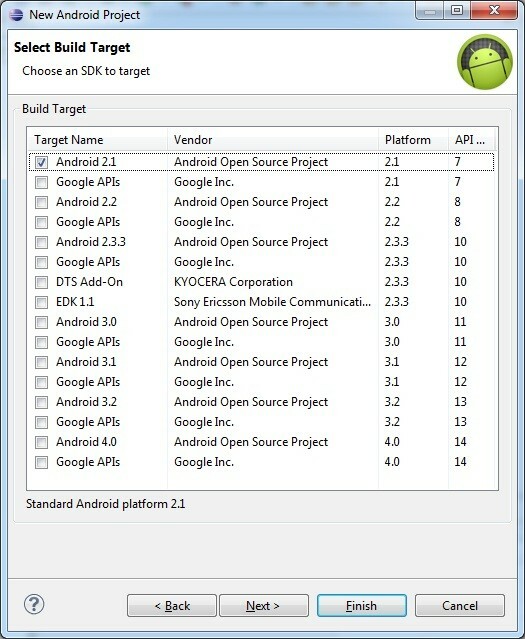 Seems like a problem with the source code to me, did you try compiling the stable versions from their download page? 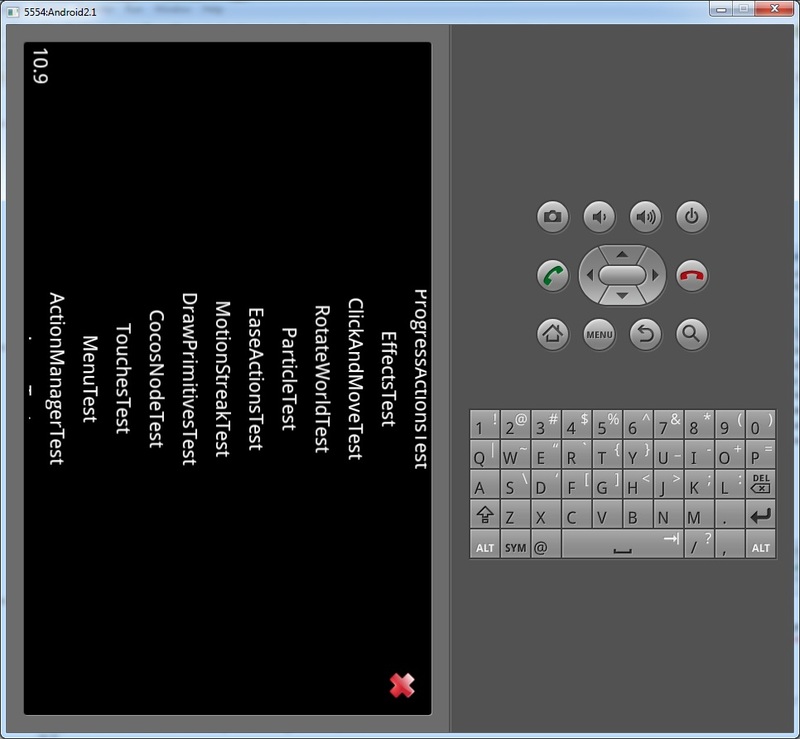 And it can compile smoothly at the beginning but in the end it results errors :(. 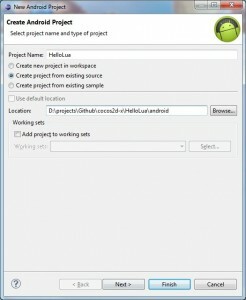 I’m not sure if the emulator actually supports gles2.0, are you using the new gles20 branch from github? I would try to connect a real device to see if it runs (and to be sure your apk binary is ok). 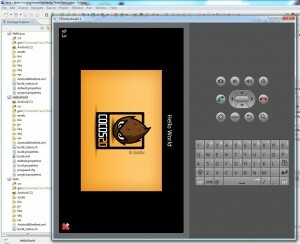 Which android image do you use on your emulator? If you’re using gingerbread, you might want to try the ICS or Jellybean image. My problem now is that if I set emulator to use gpu, it crash, but I think maybe is because I don’t have a gpu at this computer. Can it be? 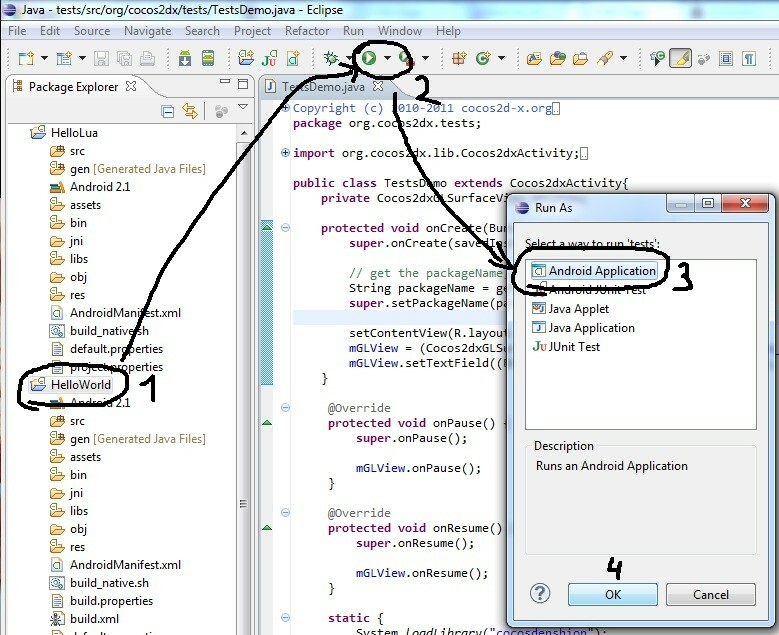 Hi Laurence .. Great Tutorial .. 🙂 And Thanks ..
After I have done everything you have said .. (creating android project from existing sample code) Eclipse show the error on the cocos2dx specific packages .. that “can not resolved as Type” .. Do I still have to import cocos2dxfo library ?? or did I miss something ? Thanks for this tutorial. After much trial and error, your notes here helped the most! The latest eclipse is somewhat different from what’s indicated here, but I was able to experiment with it enough to get it working both on an AVD and NEXUS 7. Thx laurence.. i’m waiting for ur new guide. 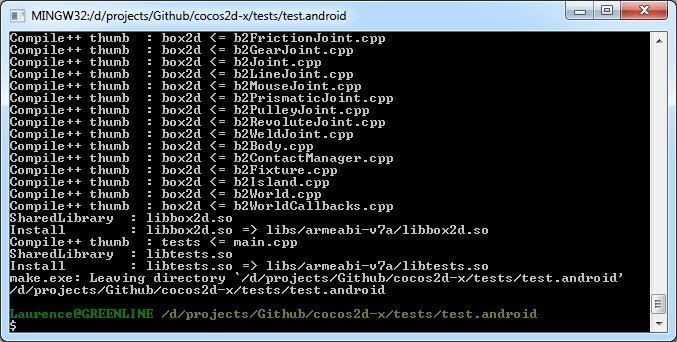 i really want use cocos2dx for my project.